MTA/NYCT awarded Group PMX a 5-year contract (CM-1427) to provide Temporary Staffing for Scheduling personnel on an as needed / task order basis. 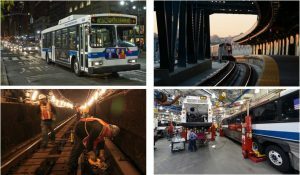 The scope includes Project Schedule Control Services for Capital Program Management projects for MTA Capital Construction, New York City Transit and other MTA Agencies. Group PMX is responsible for tasks related to cost, schedule, risk assessment, delay analysis, and claim mitigation studies.